Its been some time since I’ve blogged, mostly because the fall and holidays had me busier than ever. I traveled to many book festivals, book fairs and cons to promote my picture book retelling of the original Star Wars trilogy, The Adventures of Luke Skywalker, Jedi Knight. At every venue, I enjoyed bonding with my fellow Star Wars nerds. Like many, I am excited for the new film this year. I’ve only watched the trailer and avoided all possible articles/theories/leaks/spoilers in hopes of being surprised, entertained and thrilled once again. 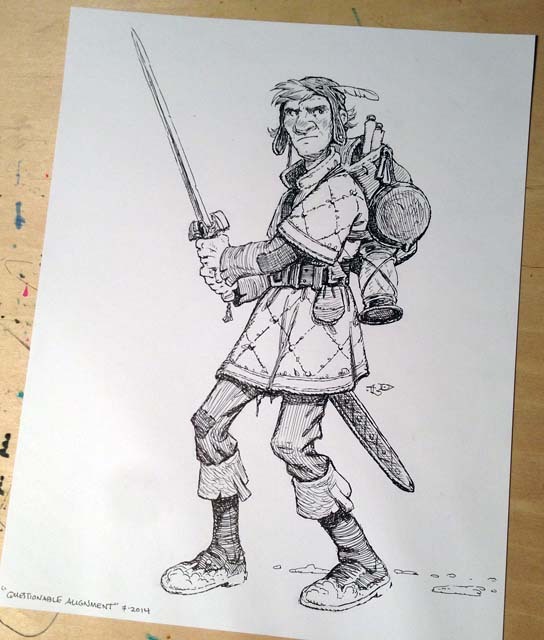 In between touring I managed to work on some new drawings and paintings for the upcoming book, Realms: The Roleplaying Game Art of Tony DiTerlizzi. 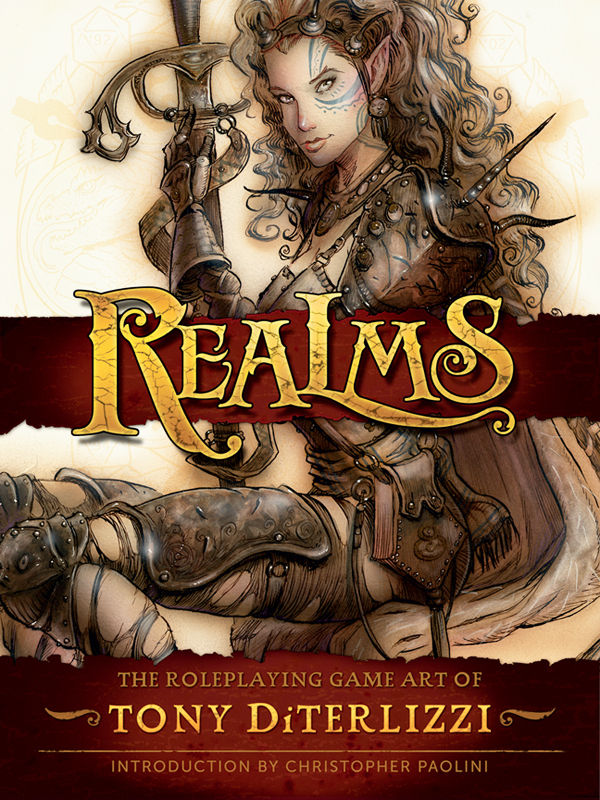 Though this book collects many favorite images from my years as an artist for RPGs such as Dungeons & Dragons, Planescape and Magic: The Gathering, it also showcases unpublished work and new art. 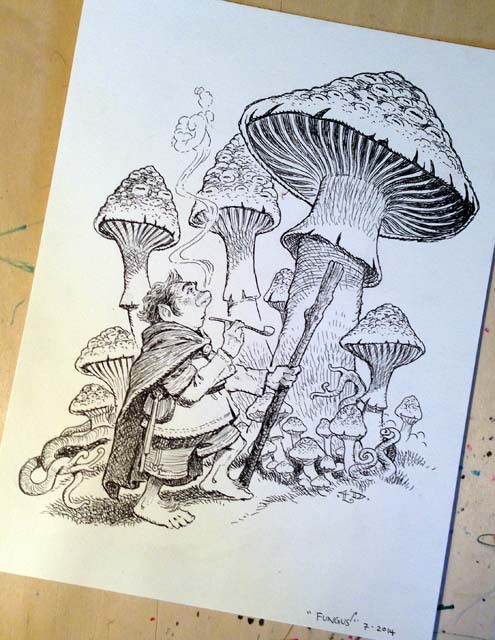 I’ve sketched from the realm that started my career a number of times over the past years. 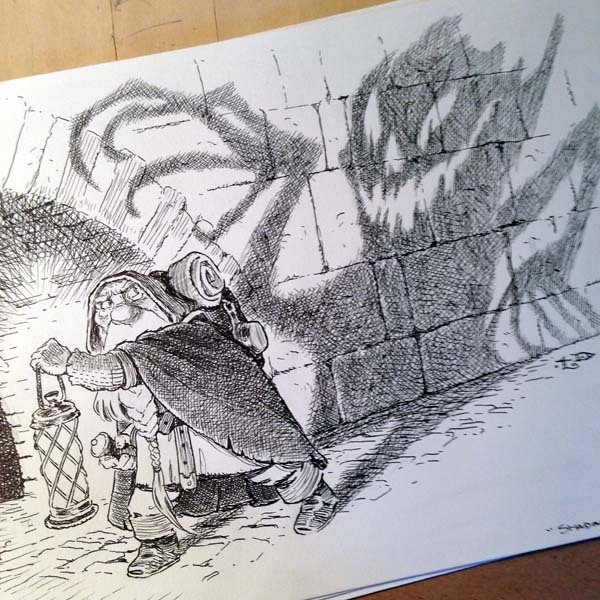 Usually, these minor excursions are warm-up exercises in preparation for big illustration jobs, like illustrating an entire Spiderwick or WondLa book. 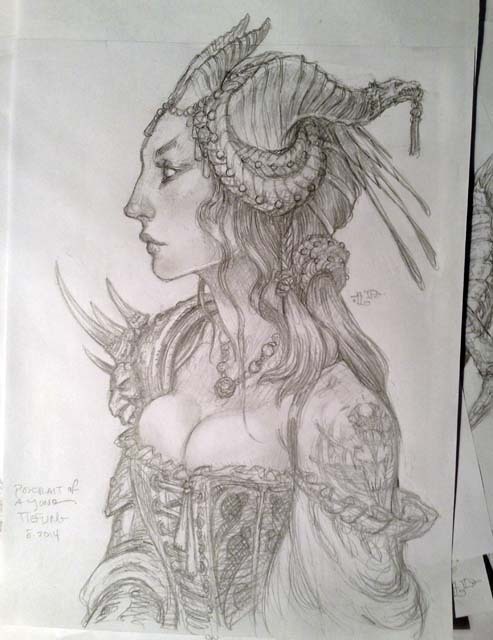 For Realms, I was finally able to officially add some favorite monsters, wizards and damsels to my drawing schedule. 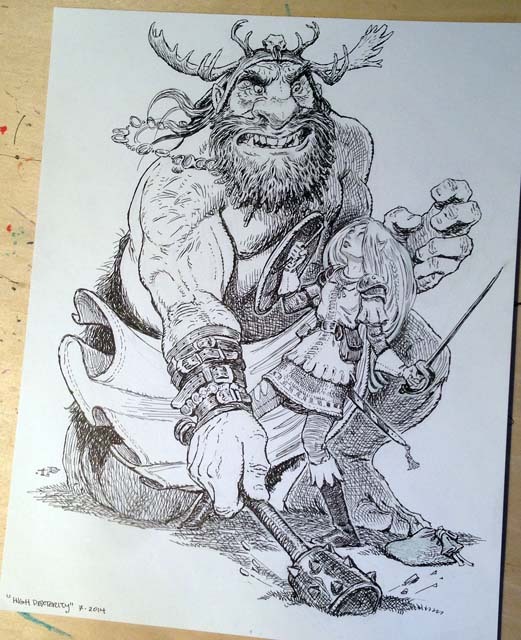 Below are some pen & ink illustrations I rendered over a two-week period while on vacation in Florida this past summer. I was resting after the Battle for WondLa tour and found drawing these D&D-inspired scenes quite relaxing. All 15 images were drawn from my imagination, with minimal photographic reference. 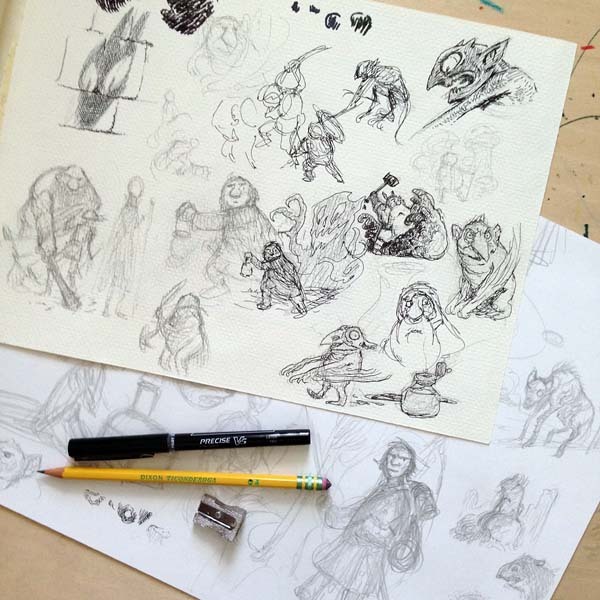 Most of them started as a thumbnail doodle on the back cover of the bristol board pad that I drew them on. “High Dexterity”, Vacation Drawing No. 9. 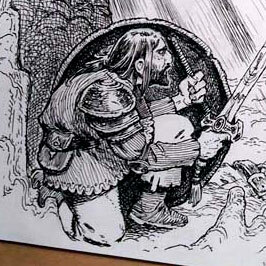 I believe Eva Nine was still on my mind when I drew this elf facing off with a hill giant. 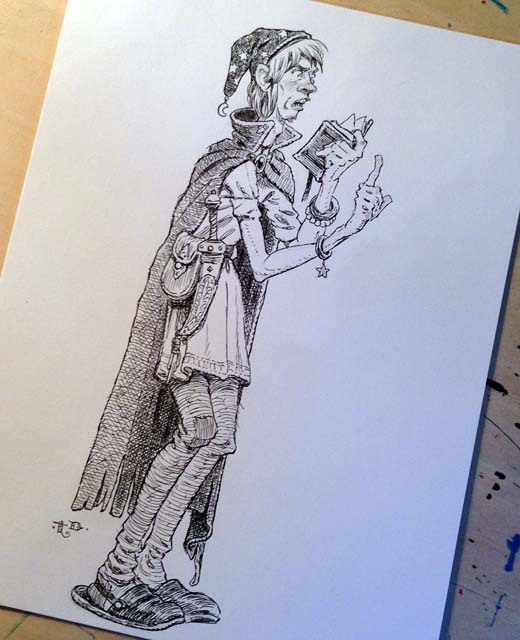 “Player Character of Questionable Alignment”, Vacation Drawing No. 10. I’ve since named this fellow Hans the Loner (after Han Solo). 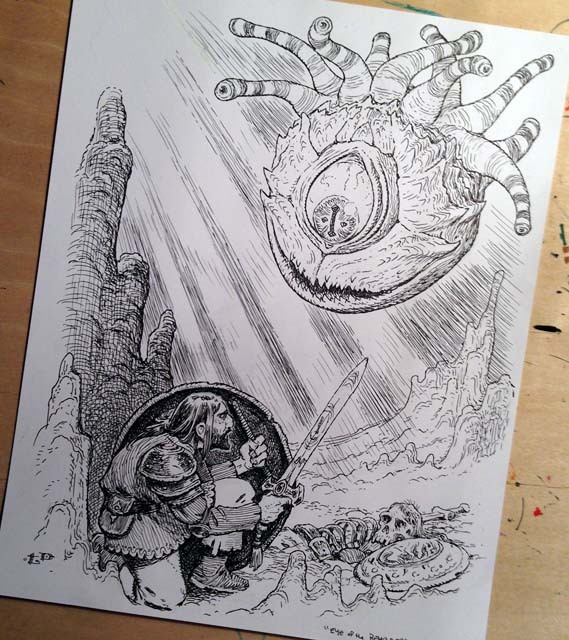 “Eye of the Beholder”, Vacation Drawing No. 15.